For many people that head to and exotic destination to tie the knot, sun, sea and sand are top priorities when it comes to selecting a place to get married – but the actual venue for the ceremony is equally important. With a stunning collection of private villas for rent, Thailand’s islands have plenty more to offer than beachside bliss. While some couples still choose to say their vows within one of the nation’s international hotels, a growing number of couples are seeking to create a more bespoke ceremony in the exclusive surroundings a private villa can offer. Many of Thailand’s finest properties on islands like Koh Samui and Phuket come with direct access to the beach, and eye-catching design features that make them standout venues, guaranteed to impress guests on the big day. 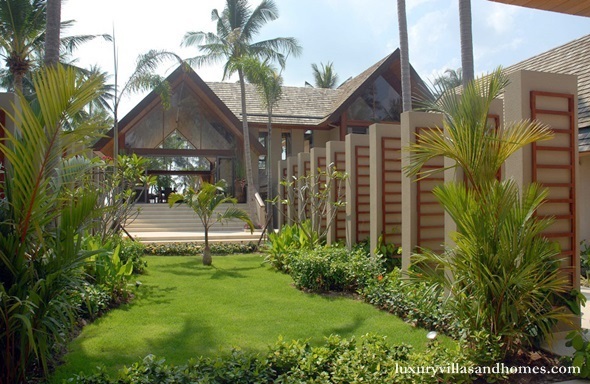 Below are five fantastic features that make Thailand’s private villas such a great place to get married. First impressions last a lifetime, and when guests step inside your private villa to be greeted by incredible vistas of the ocean through expansive swathes of floor to ceiling glazing, you can guarantee a jaw-dropping reaction. Not only are sea views often on display from inside the villas, but also once you step outside to enjoy some sunshine on the villa’s pool terrace. Guests will have a permanent reminder of the idyllic tropical location, and this will certainly help in getting them in the mood to party. The gorgeous ocean backdrop is also an advantage if you’re trying to create wedding photos with some wow factor. 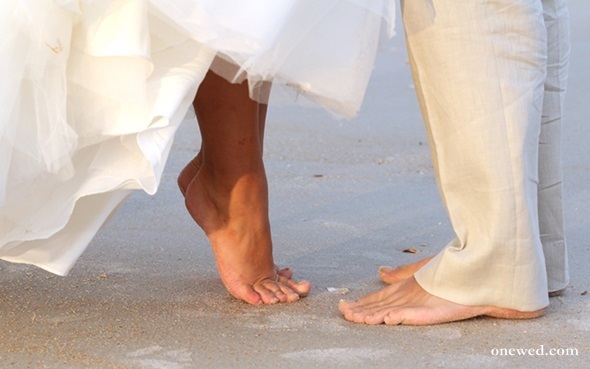 If you – like many other couples that tie the knot abroad – fancy getting married with the sand between your toes, then Thailand is an obvious choice. Many of the top private villas on Phuket and Koh Samui offer direct access to the beach, so you can easily fulfil your dream of a beach wedding. 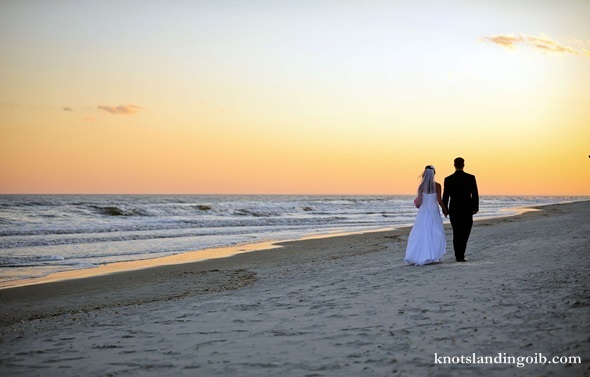 The beach is also a great place to have a photo shoot directly after the ceremony, especially if you’ve timed it to coincide with the sunset. Once the party really gets started, guests can spill out onto the beach to party some more, and the sandy shoreline also provides the perfect place for you to release lanterns into the sky – a tradition that is said to bring lasting good luck. Many couples these days are seeking to inject a little variety into their wedding photo albums, which often means having their pictures taken in an array of settings. If you’ve already done the beach photo shoot, then why not have another one in your private villa’s stunning tropical garden? The charming emerald green setting will be peppered with splashes of colour from tropical flora and fauna, creating a striking backdrop for your photographer to work with. What’s more, because you have rented out the entire property, there will be no other guests around to photo bomb your shots as there might be in a busy hotel. 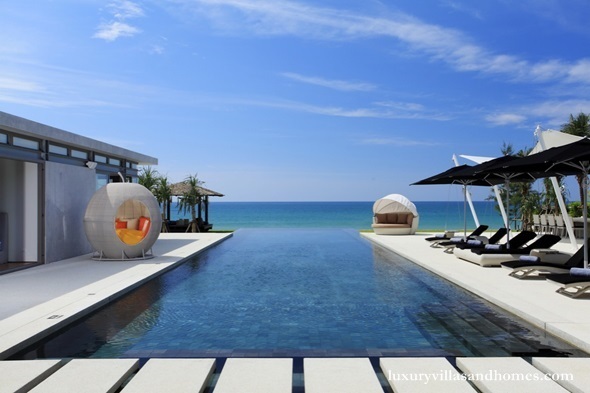 If you’re on the lookout for a villa with plenty of unique design characteristics, Thailand has a vast number of properties to choose from. While plenty of the villas are infused with traditional Thai architectural elements, some offer a truly contemporary vibe. Most villas are set around an expansive sun terrace and infinity pool – the perfect central point for guests to gather throughout the day. The modern surroundings will undoubtedly impress everyone, and will be topped off by sea views in the distance and/or direct access to the beach. Whatever wedding venue you choose, bear in mind that the layout of the venue is likely to dictate the ebb and flow of your celebration, and will channel guests towards certain areas. A large proportion of Thailand’s top-notch private villas are designed with spacious open-plan layouts, which encourages guests to make the most of the facilities throughout the villa. It also means there are plenty of commodious living areas for guests to socialise with one another. Once you step outside, the choice of spaces to gather continues with wide pool terrace areas, outdoor relaxation salas and lush rolling lawns.